Look what arrived this week…. Elder Engineering have add yet another 5 Axis machine to our capacity. 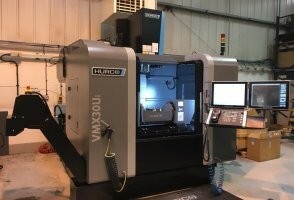 Making this our third 5 Axis Hurco VMX30Ui. All set up and ready to run for more information please contact us with your requirements.